Rhadamanthus is a genus of the family Hyacinthaceae. Rhadamanthus is named after a Greek mythological character. He is the son of Zeus and Europa who became one of the three judges of the Underworld. Many of the species in the genus Rhodocodon created in 1881 were placed into Rhadamanthus in 1998. The latest taxonomic revision by Manning et al. (2004) placed the genus into Drimia along with other former genera. However, because of controversy over this decision, we have decided to keep this genus separate, although with the new synonyms listed. Both Kew and The Plant List are listing Drimia as the accepted genus for these plants. Rhadamanthus calcicola (H.Perrier) Speta (syn. Drimia calcicola, syn. Rhodocodon calcicola) is native to western Madagascar. Rhadamanthus floribundus (H.Perrier) Speta (syn. Drimia floribunda, syn. Rhodocodon floribundus)) is native to central Madagascar. Rhadamanthus intermedius (H.Perrier) Speta (syn. Drimia intermedia, syn. Rhodocodon intermedius) is native to northwestern Madagascar. 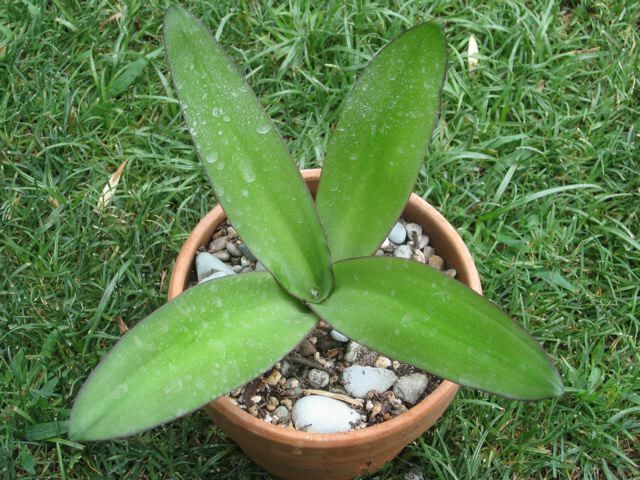 Rhadamanthus mascarenensis Baker (Speta) (syn. Drimia mascarenensis (Baker) J.C.Manning & Goldblatt, syn. Rhodocodon madagascariensis, syn. Urginea mascarenensis) is native to central Madagascar. Rhadamanthus platyphyllus B.Nord. (syn. 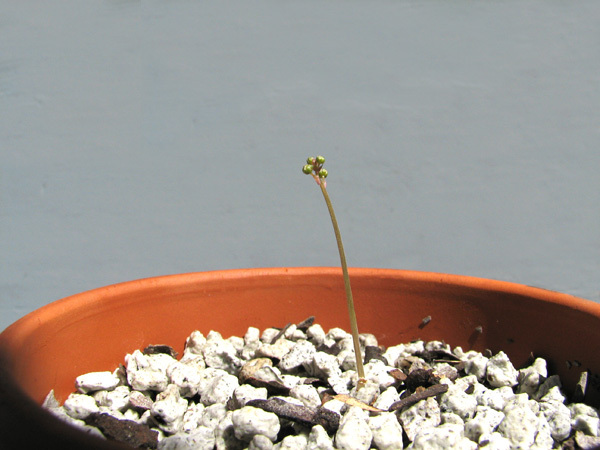 Drimia platyphylla (B.Nord.) J.C.Manning & Goldblatt) is a bulb which comes from Namaqualand, the Richtersveld, parts of the Little Karoo, and Caledon, near the south coast. The leaves are grey-ish blue, with tiny, almost indistinct flowers. 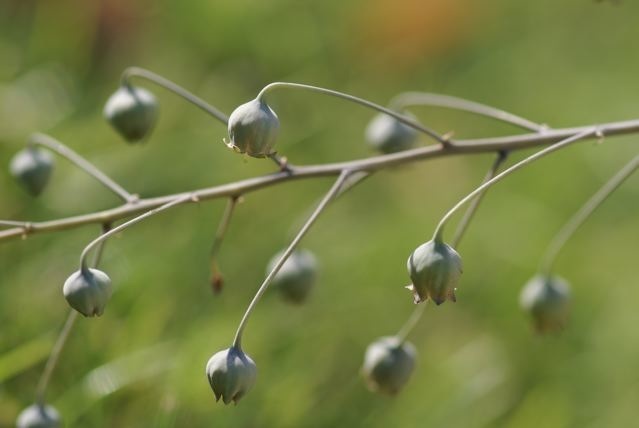 The plant is a winter grower, dropping its leaves and then produces flowers in early summer a few weeks after the leave have dropped. 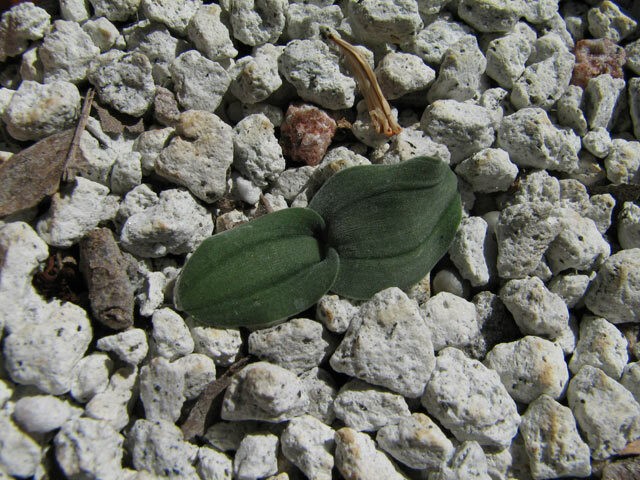 Conditions for growing Massonia should be suitable for growing this genus. I grow this plant in 75% pumice and 25% oak leaf mold. 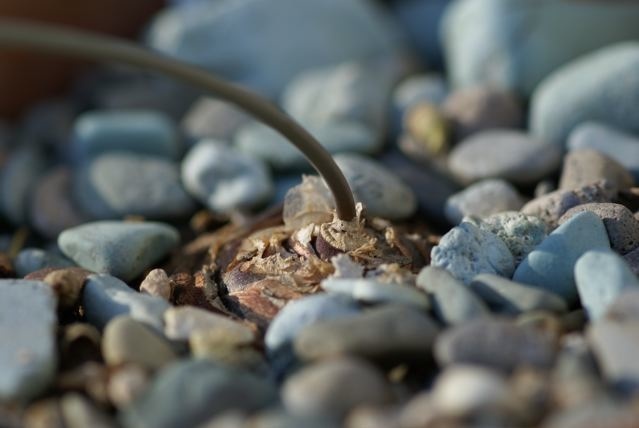 Too much water on the leaves can cause rotting. Seeds should be sown in the fall in a well drained mix (I used 50% perlite and 50% organic material). 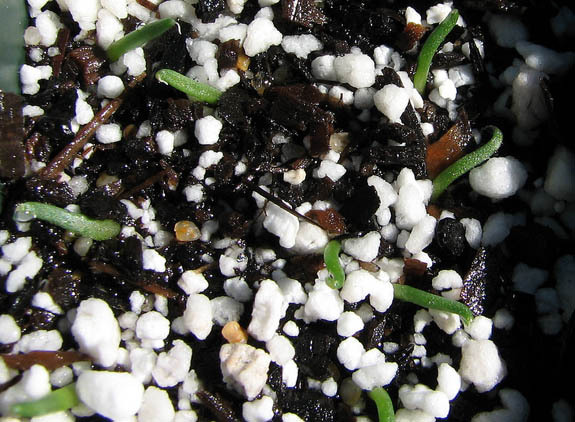 Cover the seeds with a thin layer of seedling mix. They should germinate in about 2 weeks. Seedlings tend to get a lot of water during the rainy season but do not seem to be susceptible to rotting like adult leaves. 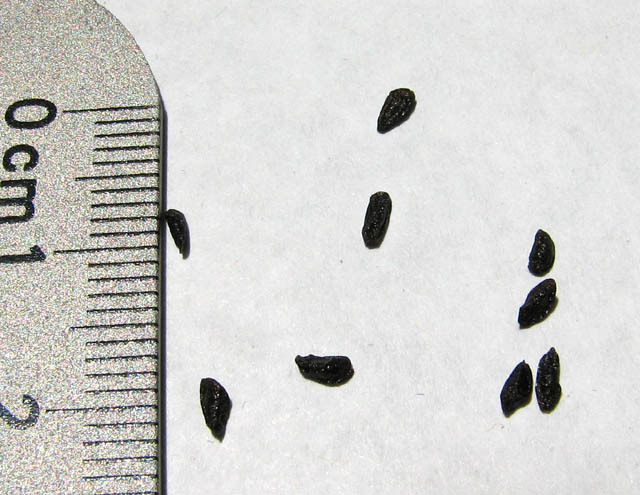 The photos below by Nhu Nguyen shows 1) tiny black seeds, 2) seedlings 3) the leaves, 4) buds, 5) flowers, and 6) empty pods. 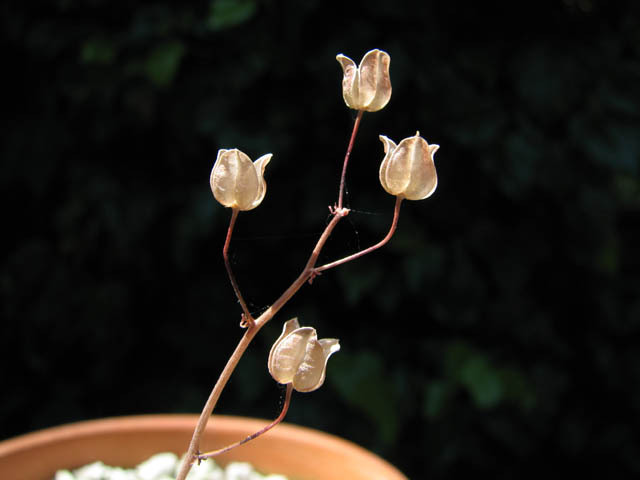 After dormancy, I brought the plant indoors where it started to bloom and form seeds without any pollinator. I only have one plant so the plant must be self-fertile. Notice the plant's size relative to the pumice particles. 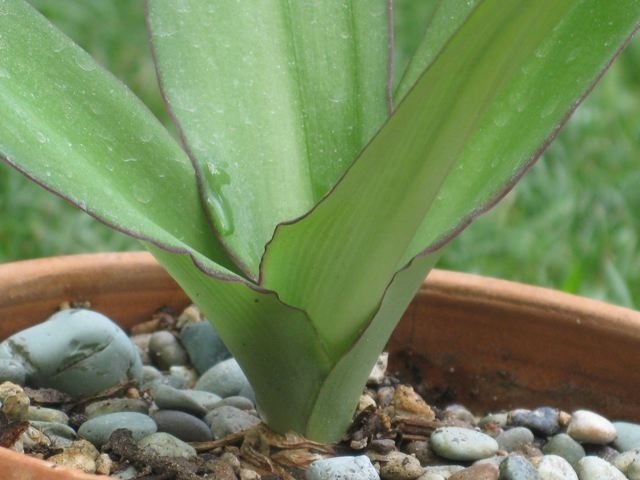 The leaves are tiny, although the bulb is sizable. Rhadamanthus urantherus R.A.Dyer (syn. 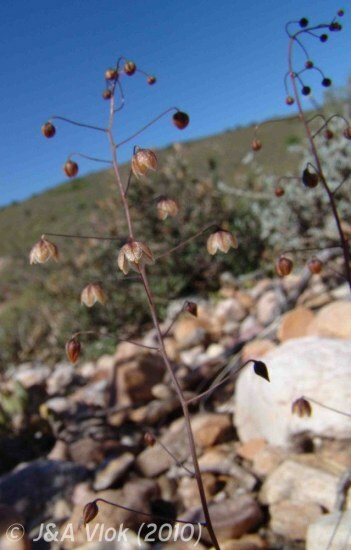 Drimia uranthera (R.A.Dyer) J.C. Manning & Goldblatt) is found on stony slopes in the Little Karoo. 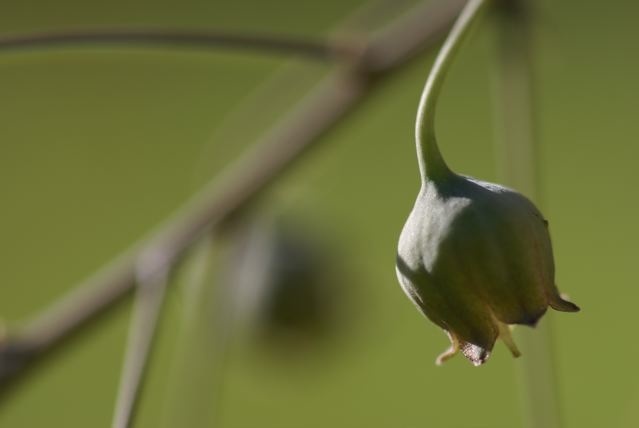 Growing up to 20 cm tall when they flower in autumn, this species has narrow and often curled leaves that appear in early winter after the flowers. 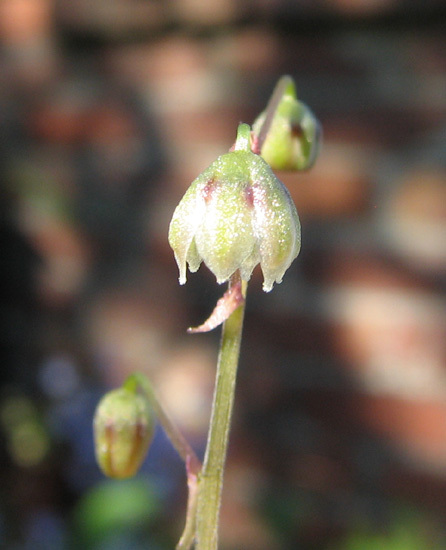 Flowers are small, nodding and golden brown with tailed anthers. Photo from the book Plants of the Klein Karoo courtesy of Jan and Anne Lise Schutte-Vlok. Rhadamanthus urgineoides (Baker) J.C.Manning & Goldblatt (syn. Drimia urgineoides (Baker) J.C.Manning & Goldblatt, syn. Rhodocodon urgineoides) is native to Madagascar.